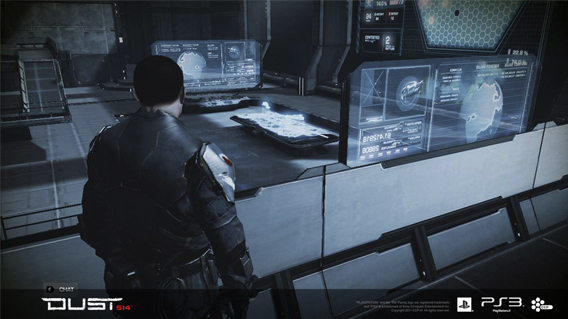 Conflict is the fiery heart of everything in EVE Online. It drives both our highs of innovation and the lows of depravity that drags us down. Conflict is what sets EVE apart from other hobbies. The struggle and partnerships forged from conflict sets it apart by bringing true value to the virtual achievements we create and disrupt. And while high security space may be safer under the watchful eye of CONCORD, so too must conflict come to those who wish to seek greatness in the starlanes. This highsec conflict can take many forms. Market PvPers work to undermine economic rivals and compete to devise even more elaborate plans to make riches. Explorers race to be the first and the best at clearing the various signatures that dot the landscape while miners wrestle with other industrial organizations fighting over the limited resources within the safer regions. Currently, the wardec mechanic is mostly used to circumvent CONCORD in highsec. A corporation or alliance can wardec another group allowing them to attack each other’s assets and players without any CONCORD intervention for a period of time. The presented goal of this feature is to allow players to impact other players and to handle grievances. However, wardecs have always popularly been used to allow people to “pick on” smaller entities that come up on their radar. Wardecs, like many other features of EVE have evolved over time but the basic mechanics have largely stayed the same. A fee is paid by the attacking side and the defending side is given a 24 hour warning window, after which all hostilities between the two groups is legal. Currently the fee paid scales upwards, with the minimum being 50 million and the greatest being 500 million ISK. Wars last for one week and can be renewed automatically. The defender has the option to make the war mutual, removing the cost of maintaining the war, and perpetuating it until one of the two retracts the mutual status. A corporation under attack can also open the wardec up to offers of assistance, paying a nominal fee of ten million isk for each ally they bring in. Additionally, while the mechanics of wars have gone largely unchanged, other mechanics of EVE have changed causing large ripples in how the wardecs operate. Most notably, the changes to “buddy lists” from the previous “watchlist” has crippled both side’s ability to collect intelligence, simultaneously hampering predators while removing a tool of safety defenders would use during wars with smaller organizations that did not have good timezone coverage. While it is true that conversation requests and location agents can provide some tools, the former seems very mechanically ugly while the latter still feels too clunky. The system incentivises attacking smaller entities, and disincentives attacking larger institutions. The person under attack often feels that the best form of recourse is to simply avoid the war. The attacker has no risk, and doesn’t even need to actually engage in the war to see it’s effects. Both attacker and defenders lack tools to cleanly engage with one another. At this point the most successful way for aggressive entities to seek fulfillment is Wardec as many people as possible. The fact that aggression can be unlimitedly piled on disincentives smaller groups from committing war on each other. Additionally there is several reasons why Wardecs are valuable, and should be preserved. Nowhere in EVE should be safe and Wardecs, along with suicide ganking, allow for high points of danger as well as periods of relative safety. Wars enable narratives and stories to be created as well as presenting adversaries to be overcome and allowing weakness to be exposed. To drill into this a bit further, EVE without interactions between entities can be a very boring place and, while for most highsec entities a war is an annoyance at best and corp destroying at worse, the truth remains that many players are drawn deeper into the game through their attempts to handle non-consensual wars. Leaders are put to the test and poorly prepared corporations often leave members disillusioned . Members who then go on to other organizations that can properly defend themselves. Wars function as a natural litmus test, if you never do anything big, you never get noticed. However, the payoff of this is the suppression of highsec activities. If a corp is under constant war, it becomes very difficult to maintain the kind of operations most high sec corps attempt to specialize in (primarily Industry, Incursions, and Mission Running). In many cases the mere act of being at war suppresses this kind of activity due to the risks involved, the removal of the watchlist only compounding this issue. Where occasional wars can break up the monotony of peace time, the larger a percentage of time that a corp attracts a war, the more difficult it will be for that corporation to maintain any semblance of normal operations. If the default practice to seek content is to Wardec every entity in Jita (as an example) than the balance of power shifts too far towards the predator, farming out the prey and destroying engagement builders in the game. The bottom line is that Wardecs need to provide flashpoints of interests for highsec “carebear” organizations, while not becoming so ubiquitous as to just not make it worth being a public entity within the game. This problem is even further compounded by the fact that even if an entity “fights back” the aggressors can simply avoid the defensive actions and continue to prey on the soft underbelly unless all such operations are ended. Even then, organizations are then criticized for asking their membership to dock up and not expose huge losses to otherwise uncaring predators. Ability to declare new wars, and end existing wars. Allows members to view a list of war targets that are currently online and can run location agent style searches for them. Allows those permitted to declare war on an organization by targeting some structure or asset of that entity. All wars must be declared through an active War Room, and all members of an ongoing War can discover which structure is providing the war. This allows defenders of the war to be able to end the war by destroying whatever structure is being used to project the war. The process of declaring wars now require a specific objective to be declared for the war, such as a specific structure, or sovereignty. The defenders can also “forfeit” the war by either ceding the target to the aggressor or removing it altogether. Entities that have nothing to take, or destroy, cannot have wars declared upon them. 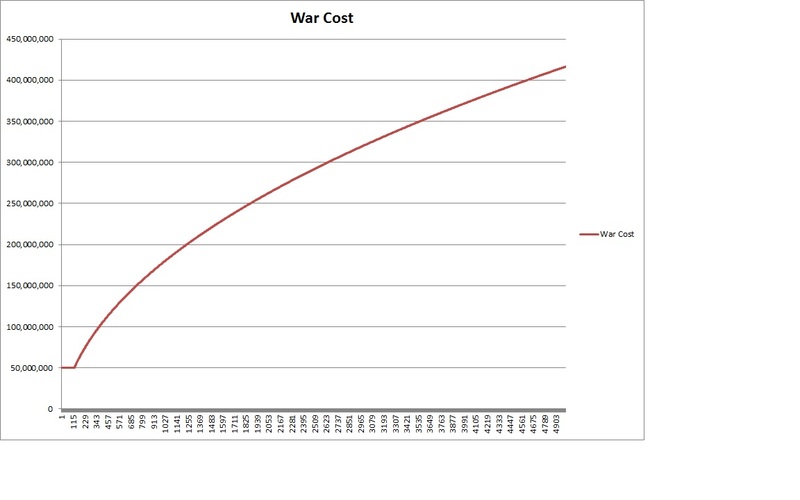 While the cost of maintaining the War Room will be minimal in terms of fuel blocks, the wars themselves will still cost ISK, however as general consensus from the wardec roundtable showed, the cost scaling should be reversed. The best notion would be to make the cost change based on the difference in size. Entities can declare war on groups of similar size for low cost, but the further in size your organization is from the target, the more the war itself will cost. One interesting idea is to move this cost from raw isk payout, to additional fuel block consumption, but then you are taking a ISK sink, and funneling it back into the game. Additional organizations can still offer assistance, but only through their own war room. The central conflict point of the war still exists as the linchpin however, and if it is lost, so too is the war. There are definite problems with this system, most of these issues coming from the larger issues of structures in EVE. These tools are still very new and come with a host of their own issues (such as timezone tanking, and the fact that it takes a full week to clear off a structure). Obviously one such fix is to make the War Room shut off after the second reinforcement so that a properly motivated force can end a war within 24 hours of active effort. Even with this, there are plenty of edge cases as the timing of wars/vs structure timers may conflict. What is presented here is by no means the only solution to this problem but rather a point of discussion. The most important thing to remember is that the best features are the ones that are fun for both sides. That contrasts heavily with the present system that doesn’t seem fun for either participant. Creative solutions will be needed to hit the true potential of high security wars and these creative solutions will require significant change. Additionally, no system will be designed perfectly on the first pass with iterations being necessary as time goes on. 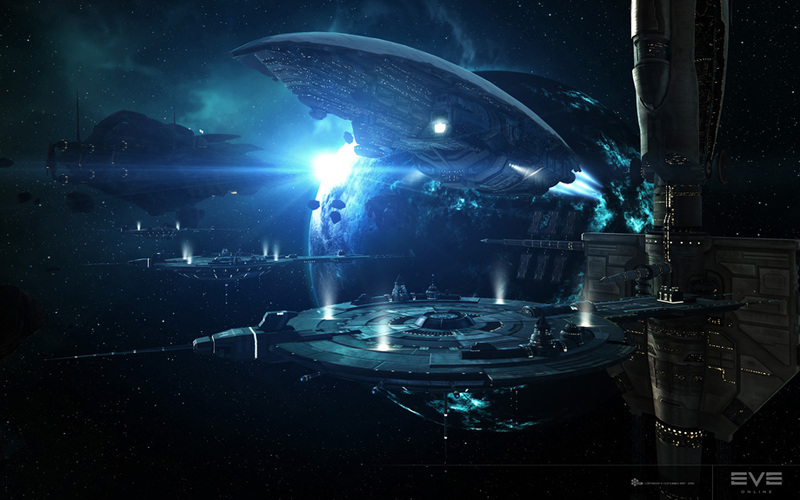 All this is a baseline for the potential of such an integral feature of EVE Online. Special thanks to Blastil for helping design the War Room, and all those who hosted and participated in the Wardec roundtable.